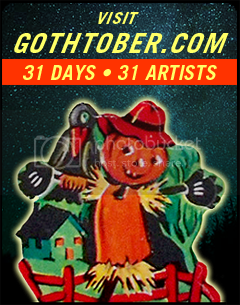 Gothtober MOM is Rocking the Rocks & Pumpkin Patch! Been feeling horribly homesick for the last three weeks. I grew up in a beautiful place, running through orchards to pick apples for pies that Mom would bake. I’d hide in Grapevines, and watch as over the months, they’d turn from rich deep green into a sea of fire colored wonder flanked by dark coniferous trees during Autumn. I miss the scent of the rich loam of northern dirt, mustard flowers, redwood trees and even the cow pies. Especially prevailing at this time of year is “first crush” or the smell of fermented grapes processed and placed into wooden barrels by wineries in their haste to take advantage of the season’s best. I may be an Angeleno, but river water runs in my blood, and I’m a Forestville girl at heart. I also miss my family, who are all really awesome, and what makes homesickness even more excruciating? Photos from HOME! 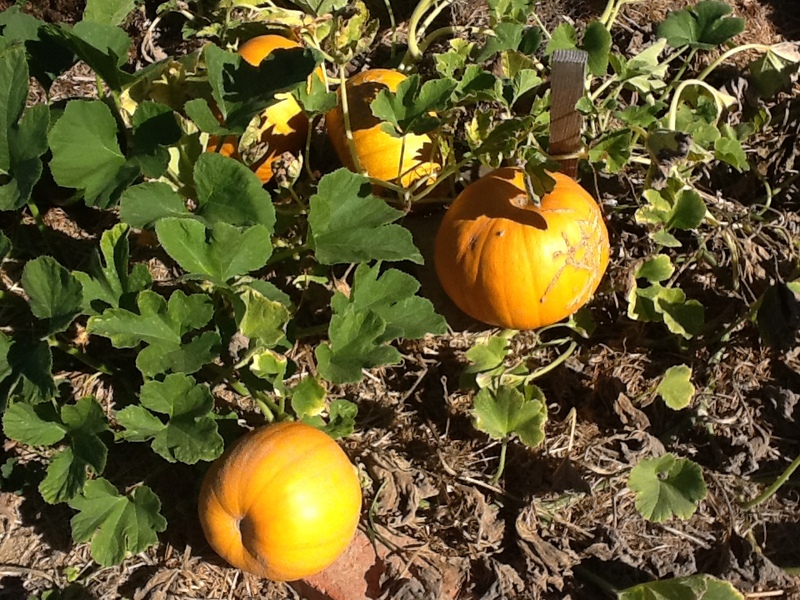 Mom sent me pictures of she and Papa Rick’s pumpkin patch, and she also sent me a photo of her fabulous halloween rocks! 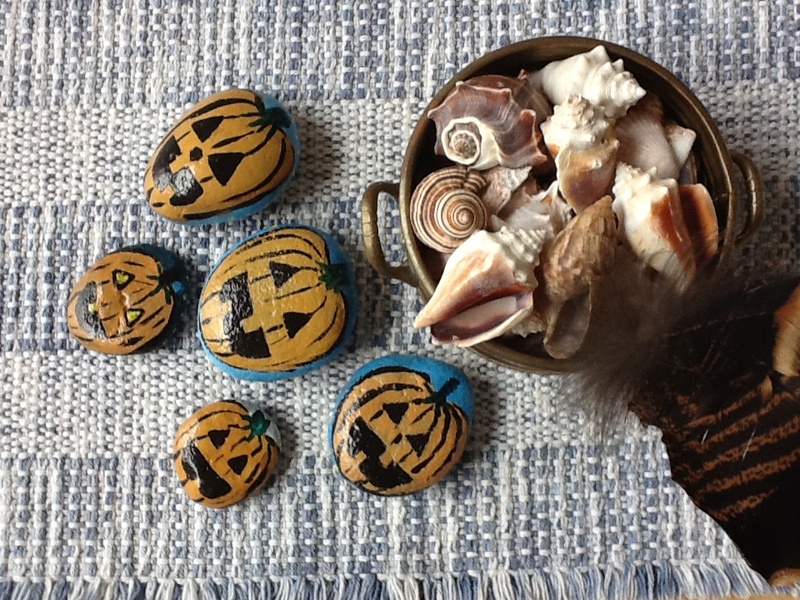 Mom’s a rock painter, as you can see, she’s quite good, and these petrified jack’o’lanterns are so dang adorable I want them ALL, but I’ll settle for just one, if she’s even giving them away! I think CraftNight’s going to have a rock painting night soon, thanks for the inspiration, Mom! Mom and Papa Rick’s 2012 Pumpkin Patch Surprise! Look at ’em GROW! And the PUMPKIN PATCH, well… in my mind I’m always thinking I’ll have a patch like this at some point, but our soil has so much clay, and it gets kind of hot for pumpkins down here, so it would take some kind of insane amount of diligence on our part to actually have a successful patch. For instance, itps 90 degrees outside right now! Scandalous! But up north, it’s quite a bit cooler, there is fog, just the kind of cold damp environment for a squash to thrive. The Feldsparr Patch is AMAZING, just look at those pumpkins! Papa Rick is a consumate gardener, he’s always growing things in his garden, their potatoes are so buttery, their garlic is so much better than supermarket garlic, or even farmer’s market garlic! It’s always a pleasure coming home and eating from their homegrown patch of veggies! I wonder if pie is going to happen, or soup, or pumpkin pizza, or if they’re going to turn into Jack’o’Lanterns… I hope we’ll get an update! This concludes the Gothtober mid-month “Fall Interlude”, thanks for reading!